The first-year team will play for a division championship in North Carolina. 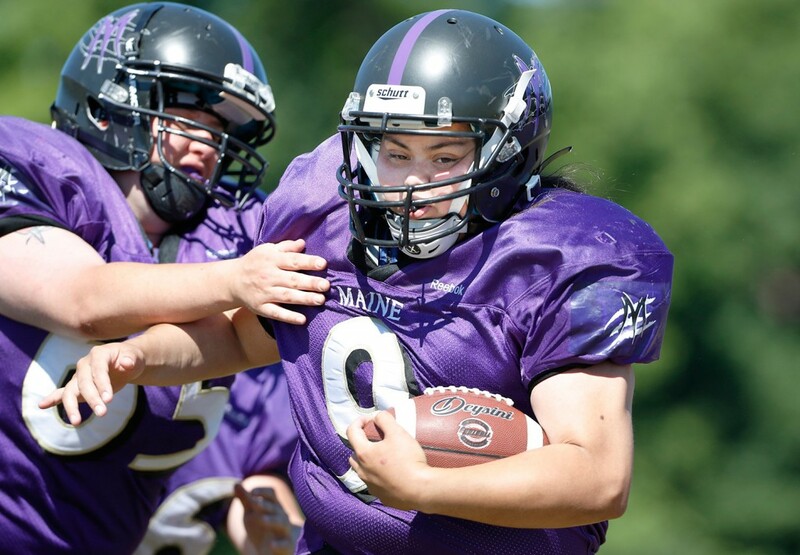 For years, the women who played tackle football in Maine – from the Maine Freeze of a decade ago to the recently defunct Maine Rebels – often went an entire season without winning a game. This year is different. 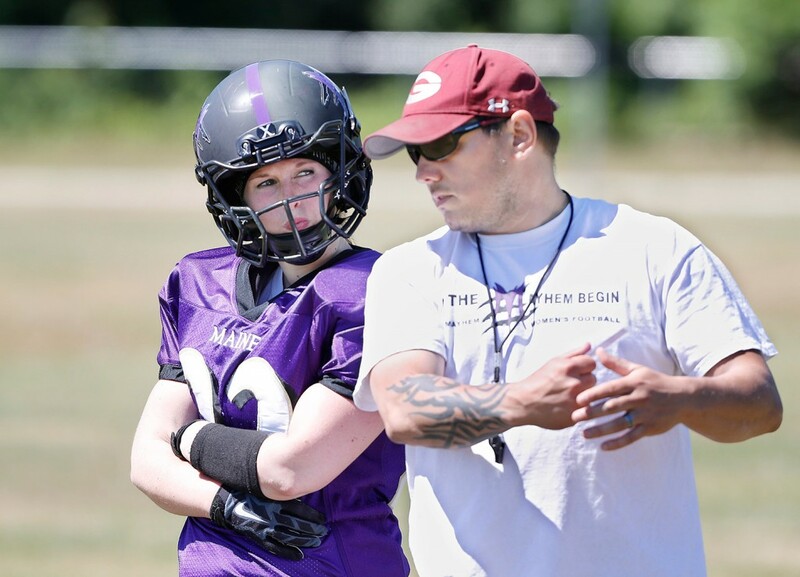 The Maine Mayhem, a first-year team, will play during the Independent Women’s Football League championship weekend later this month in Charlotte, North Carolina. WHEN: July 22 WHERE: Charlotte, N.C. The Mayhem will play the Knoxville (Tennessee) Lightning in the Affiliate Bowl on July 22. The game will decide the championship of the league’s Affiliate division, which consists of seven teams that are first-year clubs or small-market teams. 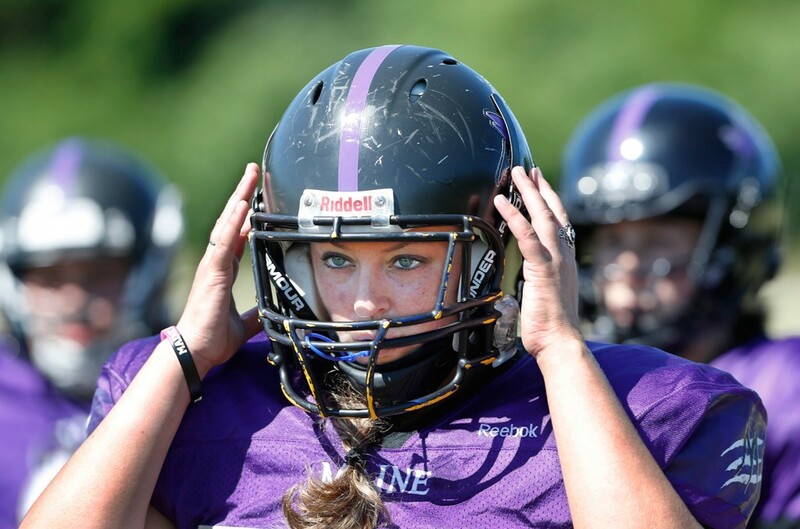 At its top level, the IWFL has 26 teams playing in four conferences. The championship weekend will include the title game for those teams on July 23 as well as an all-star game that will include five Mayhem players. 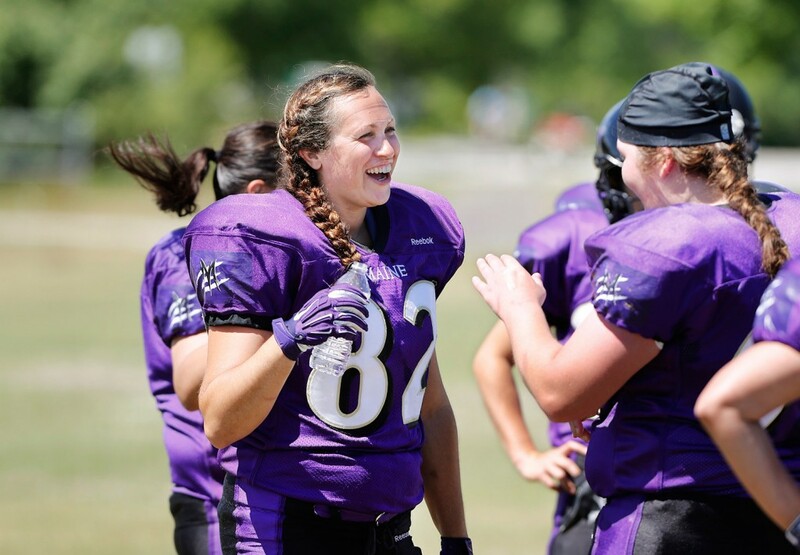 The league is a Texas-based nonprofit that formed in 2000 to support tackle football for women. It has teams in Philadelphia, New York, Baltimore, Denver and other major and smaller cities across North America. The Mayhem, who finished their regular season on June 11 with a 4-4 record, formed after the Maine Rebels were sold and moved to New Hampshire last year. Jeffords serves as president of the five-member board of directors that runs the club. Team members have to buy their own equipment, pay for their training and treatment, and are raising money for the trip to Charlotte. “We’re definitely going,” Jeffords said. The Mayhem have 23 players, many of them playing both offense and defense. They played their home games in Portland at Fitzpatrick Stadium and Memorial Field at Deering High. They practice in Gorham once a week. 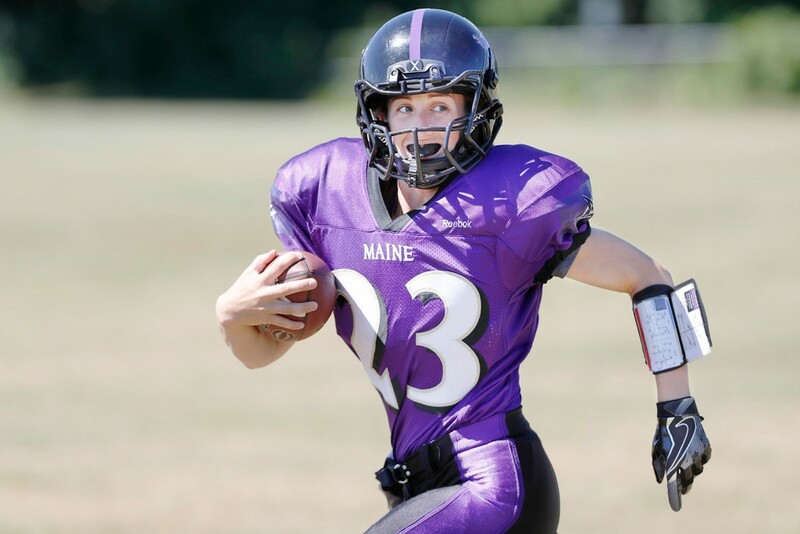 Rohner pointed to two games the Mayhem played against the New England Nightmare, a team from Connecticut that plays in the United States Women’s Football League. Maine – which is allowed to cross over to the USWFL to fill out its eight-game schedule because teams in the Affiliate division are spread across the nation – lost 2-0 and 14-8 in two games against the Nightmare, who finished 7-0. “In the past we’d lost by 30 points to them,” said Rohner, who also coaches at Gorham Middle School. The Mayhem played only one Affiliate Division team this year, defeating the New York Knockout three times (24-6, 40-0 and 28-0). 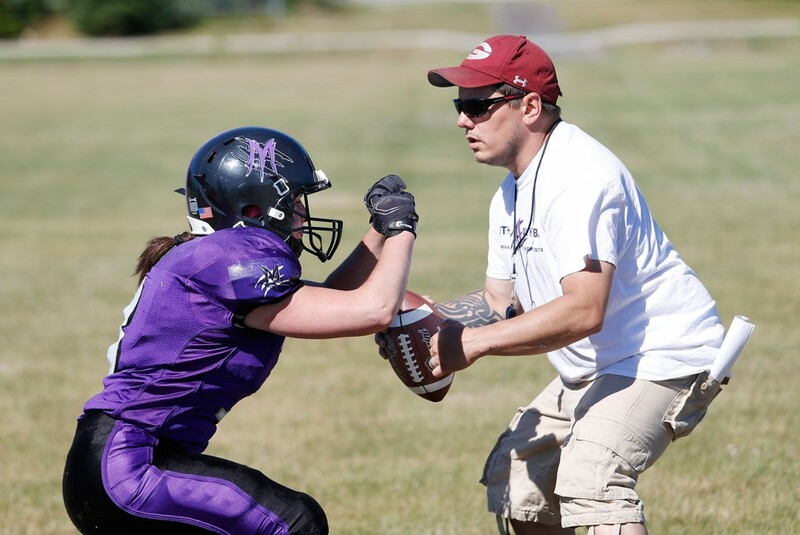 They played one established IWFL team, the Montreal Blitz, twice, losing 52-0 and 63-0. They also defeated the Connecticut Hawks, another USWFL team, 32-7. Jeffords is one of the five Mayhem all-stars. The others are fullback/linebacker Paula Beaulieu, who was also a first-team selection, and second-team selections Theresa Hendrix (quarterback/cornerback), Frankie Curtis (defensive end/guard) and Jessikah Lopez (defensive tackle/guard). Jeffords said playing in those all-star games – she has been in five – has improved the quality of play. 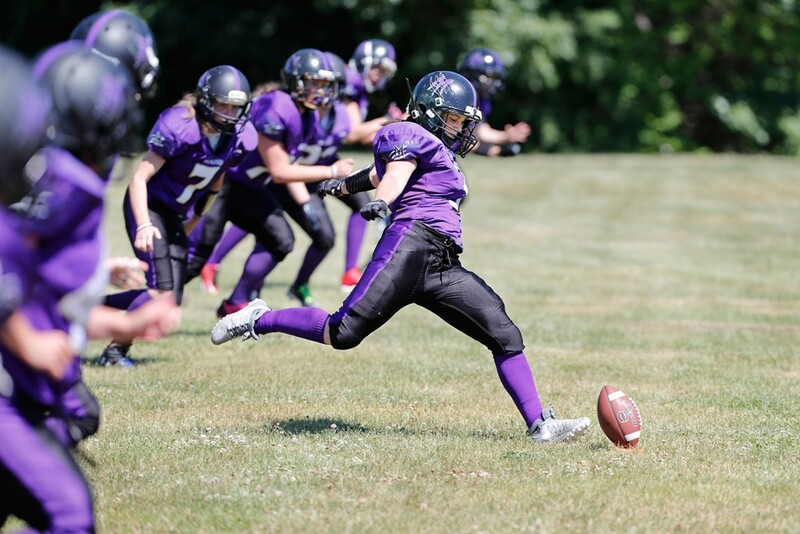 “Every year I’ve gone there I’ve learned something and increased my football IQ,” she said. Hendrix, a three-sport star (field hockey, basketball and softball) at Cheverus High and St. Joseph’s College, has had a dramatic effect on the Mayhem as a rookie. She came across an article on Jeffords and the Mayhem in a magazine and was intrigued. She spoke to Jeffords, joined the team and after playing wide receiver a few games, moved to quarterback. She’s a good passer but also possesses the ability to make defenders miss tackles in the open field, so the Mayhem have put in a spread offense. Hendrix said she’s fortunate to be playing with so many veterans. And how did she feel when she absorbed her first hit? The team’s biggest hope in going to the championship weekend is that it creates a buzz for the future.